In 2017, Sirea won the first edition of the EDF Pulse Occitania competition, organized by the world’s second largest electricity supplier. Aiming to highlight the innovations of innovative SMEs and startups from french regions, EDF had awarded to Sirea the place of finalist. 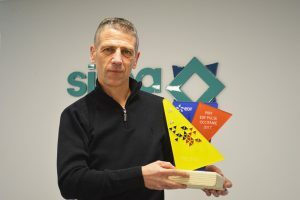 2 years later, with this nomination and reward for the SESAME project, several collaborations between Sirea and the subsidiaries of the EDF group were born. Recognized during this competition, the project SESAME aims to facilitate the energy audits carried out by Dalkia. By solving the problem of the disparity of data collected and aggregated, we have made available to the subsidiary of EDF a tool of supervision giving meaning to the gathered data. The job of electrician, pillar of our activities, and the management of energy, essential link of our expertise, has always been a considerable asset in our various collaborations, whether with EDF or Enedis. In the case of EDF, this know-how and the seriousness demonstrated with Dalkia allowed us in 2017 to come to support the R&D branch of EDF in the design of the energy manager as it is industrialised today: the SmartEMS. Innovative by its intelligence, this new Generation energy manager is now piloting many self-consumption installations for EDF customers, individuals and professionals. More recently during 2018’ summer, we collaborated with the hydroelectric power station of Truel in Aveyron, as part of an experimentation of augmented reality for consignment. The augmented consignment project, currently in the testing phase, was a considerable opportunity since we were able to present it at the Electric Days in Paris, which gave a massive visibility to the concept and the technology used. Bruno Bouteille will be at “l’école des Mines” of Albi on the 7th of February 2019 to outline a feedback of the various collaborations with EDF. We take advantage of this publication to thank especially those who believed in our solutions and who trust us today: Christian Caussidery (EDF Hydro), Benoit Peccol (EDF Hydro), Guy Samir (EDF R&D), Raphaël Haroon (Dalkia), Marie Fabre (EDF), Muriel Biasato (EDF), Patricia Chaine (EDF).